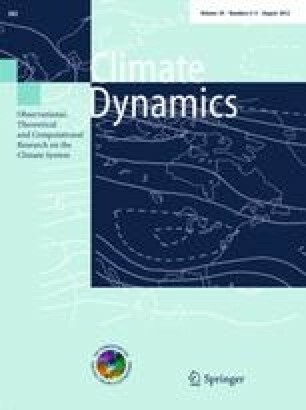 We determine the parameters of the semi-empirical link between global temperature and global sea level in a wide variety of ways, using different equations, different data sets for temperature and sea level as well as different statistical techniques. We then compare projections of all these different model versions (over 30) for a moderate global warming scenario for the period 2000–2100. We find the projections are robust and are mostly within ±20% of that obtained with the method of Vermeer and Rahmstorf (Proc Natl Acad Sci USA 106:21527–21532, 2009), namely ~1 m for the given warming of 1.8°C. Lower projections are obtained only if the correction for reservoir storage is ignored and/or the sea level data set of Church and White (Surv Geophys, 2011) is used. However, the latter provides an estimate of the base temperature T 0 that conflicts with the constraints from three other data sets, in particular with proxy data showing stable sea level over the period 1400–1800. Our new best-estimate model, accounting also for groundwater pumping, is very close to the model of Vermeer and Rahmstorf (Proc Natl Acad Sci USA 106:21527–21532, 2009). We thank Katja Frieler, Jonathan Rougier and two anonymous reviewers for their helpful comments and discussions regarding this paper, and to Aslak Grinsted for providing the error covariance matrix for the JE08 data.